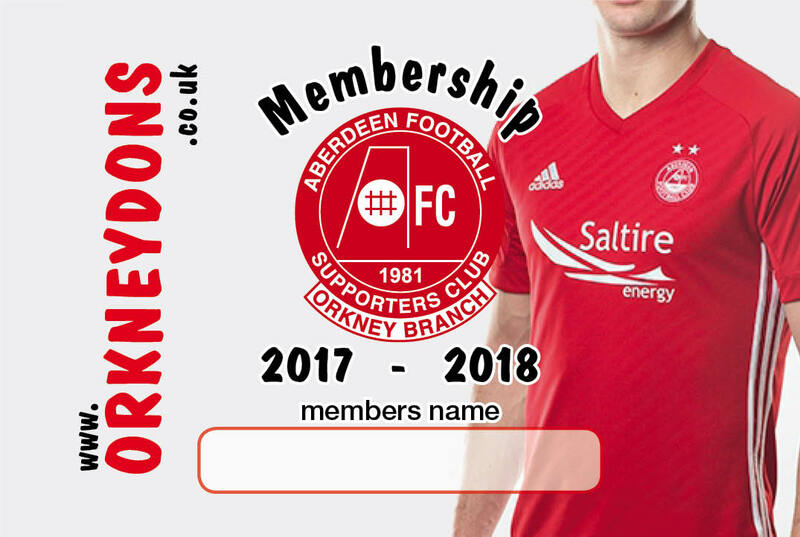 Orkney Dons » 2017/18 Memberships due now! Mark needs to get his updated membership list sent to Pittodrie ASAP. Aberdeen FC want to cut down on the last minute rush on memberships, especially if Aberdeen get to a semi-final or even a final, the rules are getting stricter and when the numbers are increasing they will only get tighter and tighter. So I would urge everyone to make sure you are always up to date with your membership and on the official Aberdeen FC database. You can pay online or if you need more information then please contact our membership secretary Mark Groundwater.